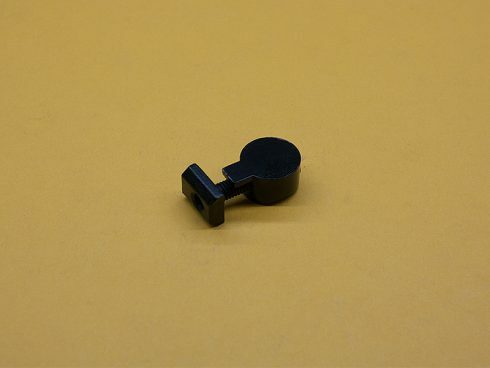 10 or 25 Series, BLACK Anchor Fastener Assembly, TNUTZ Part #AF-010-BLACK. This ad is for one 1 assembly. Each assembly includes (1) BLACK Zinc Anchor Fastener Cam, (1) #10-32 x 3/4″ SHCS, and (1) #10-32 Standard T-Nut. The connectors are flush when installed, and provide a very clean and aesthetic look. Ideal when Joining Plates or Corner Brackets cannot be used.